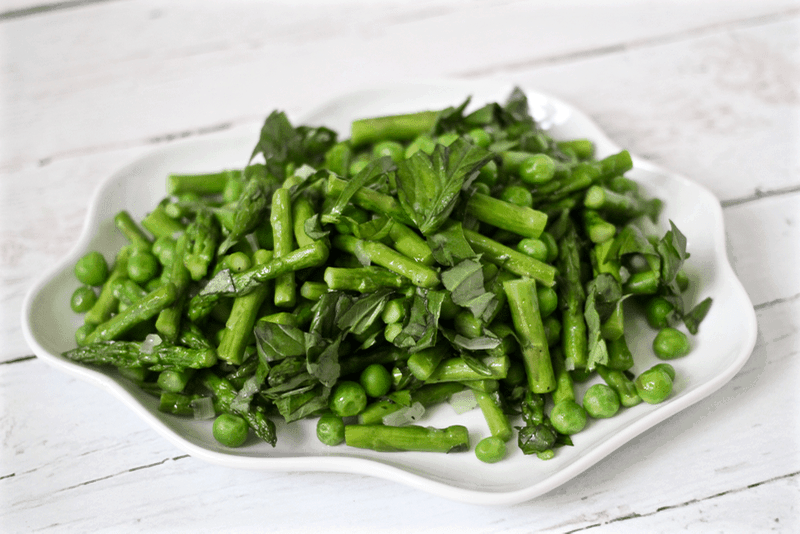 Asparagus and peas with basil is an explosion of springtime flavors in a fast, easy side dish. 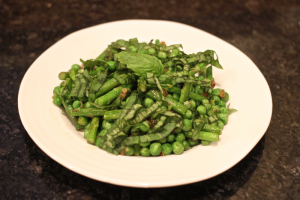 This side dish just ushers in spring for me! 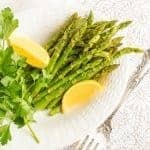 It mixes all of those early spring favorites – asparagus, peas and basil – with some shallot sautéed in a little butter and oil to bring all those fabulous flavors together. Such crisp, fresh flavors. 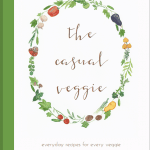 A perfect way to awaken the senses after winter and to bring on the veggies. I can’t get enough! And you know me, if one green vegetable at dinner is good, two is double the fun! This also comes together in no time, so it’s a cinch to make on a busy weeknight. 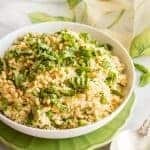 Pair it with brown rice or fast “baked’ potatoes and your favorite baked or grilled chicken, and you are eating well tonight. 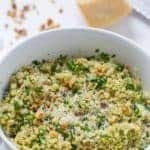 You could certainly add extra butter or top it with some Parmesan if you like. And if you’re a basil freak like me, sprinkle, sprinkle, sprinkle away. I can’t control myself around basil. More, more, more, please! Big fresh flavors, easy side dish. A win-win. Enjoy! 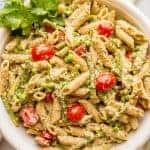 A springtime explosion of yummy green veggies! 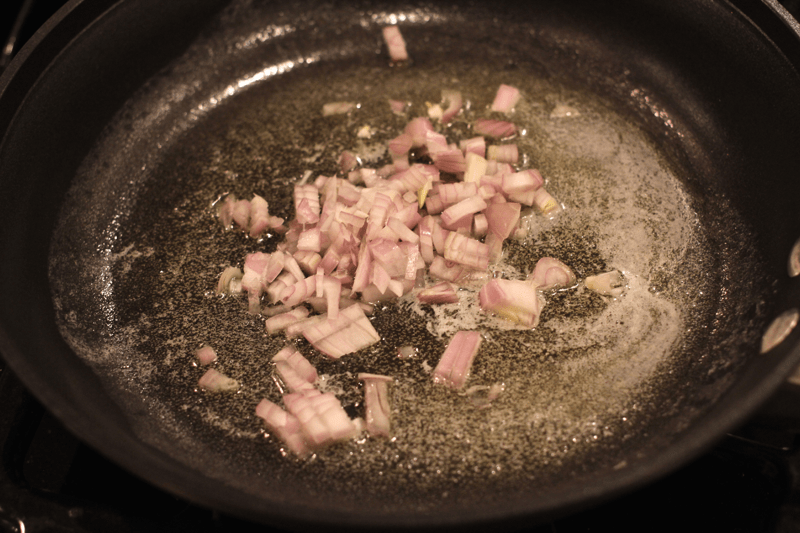 Add shallot and saute until softened, about 2 minutes. 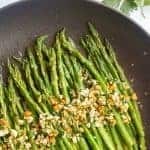 Add asparagus and saute for 3-4 minutes, until it's bright green and slightly tender. 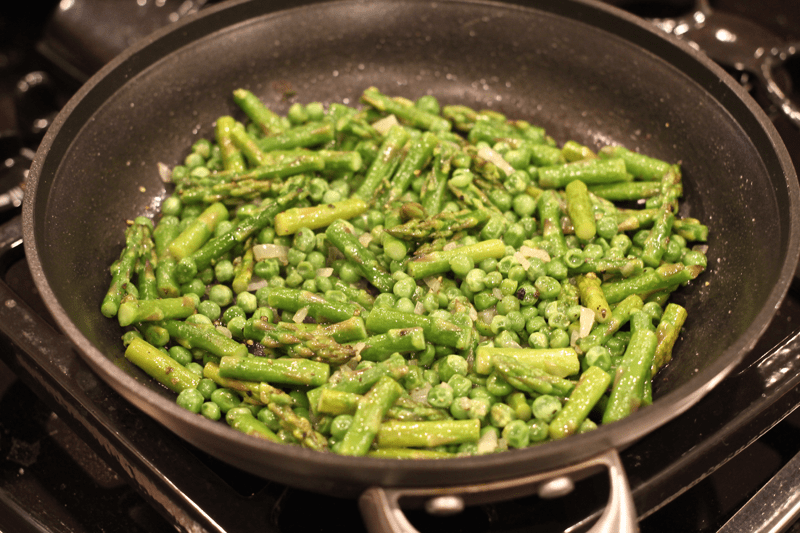 Add peas and stir to heat through. Season with salt and pepper, to taste. 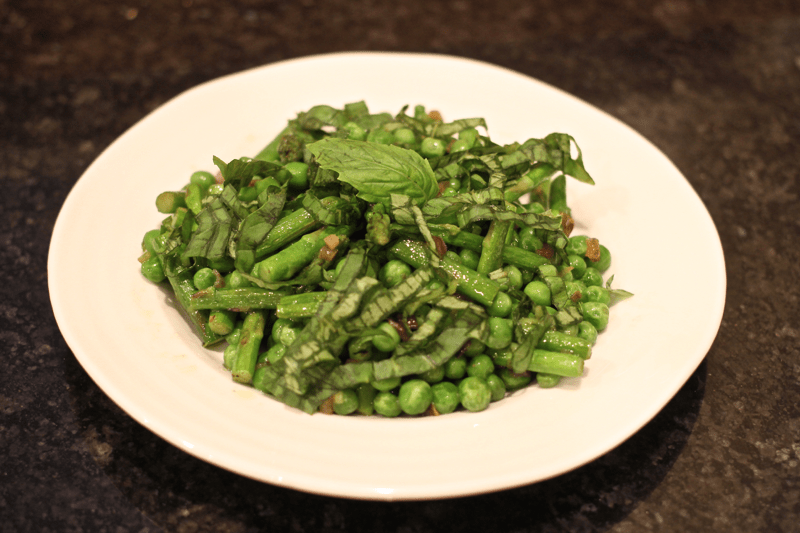 Serve hot, sprinkled with fresh basil. Yum! I like the sound of this with your easy baked potatoes! Thanks Lauren! It’s a great combo – and so super fast!